Remember Love Actually? Of course you do: its manifest horrors are imprinted on the memory of every Briton of voting age. 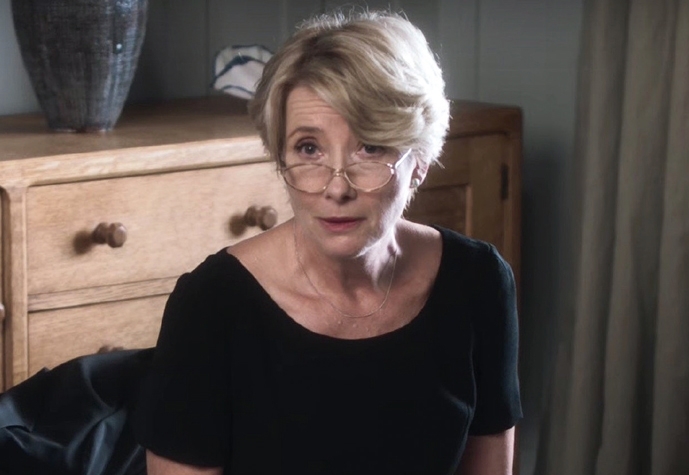 But there’s one scene in the film that very nearly makes up for all the rest, and that’s Emma Thompson’s realisation, in her bedroom, listening to Joni Mitchell, that her husband is having an affair. It’s amazingly simple, powerful and effective – and, as such, doesn’t really fit into the film at all. Jump forward 15 years and Thompson, now in her late fifties, is a family court judge in The Children Act. She lives in chambers with her husband, Stanley Tucci, who comes in one day and announces that he plans to have an affair. The sense of déjà vu is inescapable. You almost expect to see Hugh Grant pass the window, chasing Martine McCutcheon. The Children Act is the latest of Ian McEwan’s brief, skilfully wrought novels to be adapted for the screen, and almost certainly not the last. Thompson’s judge is formidably hard-working, professional and effective in her job: we see her giving several judgments and we never doubt her capabilities for a second. But her marriage is collapsing and we realise that, somewhere along the line, she has lost the ability to live a normal emotional life. Throughout the film people say, ‘Talk to me; tell me what you’re feeling.’ And she can’t. We see that the feelings are strong, sometimes overpowering, but expressing them has become impossible. The main case in the film is that of a 17-year-old boy who has leukaemia but has refused life-saving blood transfusions because he’s a Jehovah’s Witness. Thompson goes to see him in hospital and they get on famously. There is a scene here involving a guitar which teeters on the very edge of ghastly, stomach-churning embarrassment. Somehow, Thompson pulls it off, but it’s a close thing. What will she decide? This part of the story is well-told and fascinating, as all good courtroom dramas tend to be. After the verdict is in, though, the film begins to drift. Why is Tucci, who brings his immense talent to an almost thankless role, constantly flopping around like a wet weekend in Broadstairs? Thompson seems to spend an inordinate amount of time putting on or taking off shoes. The focus now changes to that of the 17-year-old boy, who is played by Fionn Whitehead, and who isn’t, I’m afraid, particularly good. I don’t believe his dialogue and I don’t believe the mouth that says it. The end of the film is utterly inevitable and, apparently, pretty much what happened in real life, as McEwan took the story from an anecdote he was told over dinner. McEwan’s last script to be filmed, On Chesil Beach, was a small masterpiece of plotting. This one seems less sure. Not that I can think of any way to make it better: it is what it is, as most films are. And Thompson is wonderful. This is a proper star performance: strong yet vulnerable, sensitive yet sometimes terrifyingly matter-of-fact, she’s in almost every scene of the film, and you never grow tired of her. I also like the fact she’s not afraid to look her age – a rare and surprisingly beautiful thing.